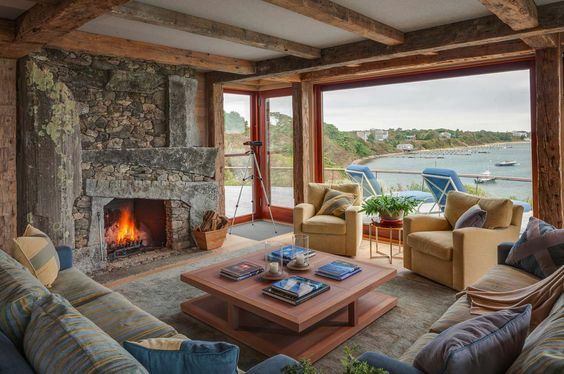 Imagine yourself relaxing in front of a crackling fire in the comfort of your favorite couch, sipping hot chocolate while the waves crash on the beach outside. 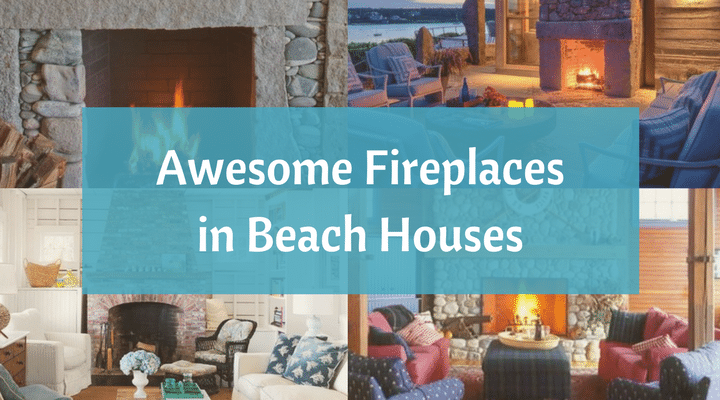 If you own a beach front home, you can make this a reality by adding a fireplace that lends warmth and coziness to the living room. 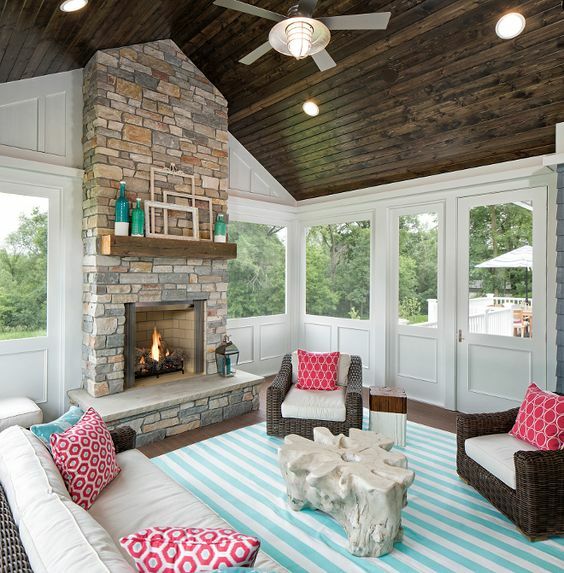 A granite or stone fireplace and chimney brings a rustic look and works well with wooden flooring. A tiled fireplace with a marble mantel can display beautiful geometric designs and provide an elegant touch to any room. Enclosed fireplaces offer heat and convenience while ensuring children and pets are safe. The mantle shelf is ideal for family pictures, souvenirs and other knickknacks. 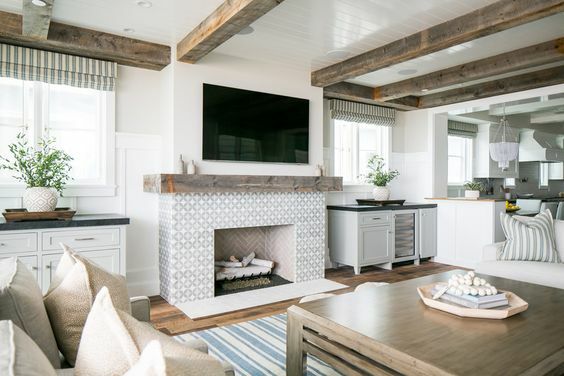 A simple, spare fireplace brings symmetry and provides a focal point to the room. It can be decorated with nautical objects like a ship’s wheel or boating items. Even when not being used, a beautiful fireplace draws the gaze. In warmer seasons, candlesticks can be placed nearby for a soft, natural illumination. 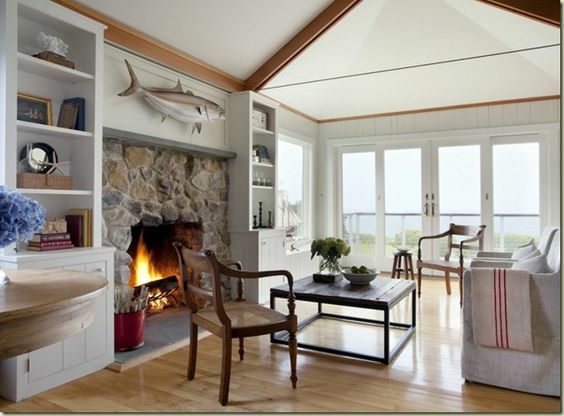 Choose a fireplace that complements the history and design of the building. It should add to the character and comfort of the room. 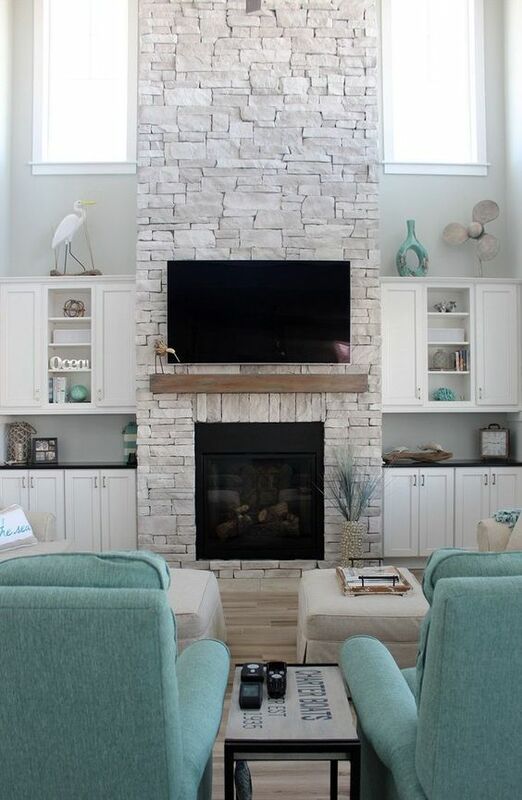 This classic brick lined fireplace with stone chimney will have you and your friends lingering outside well past sundown. A mix of granite, wood and stone on the outside with red bricks lining the inside. 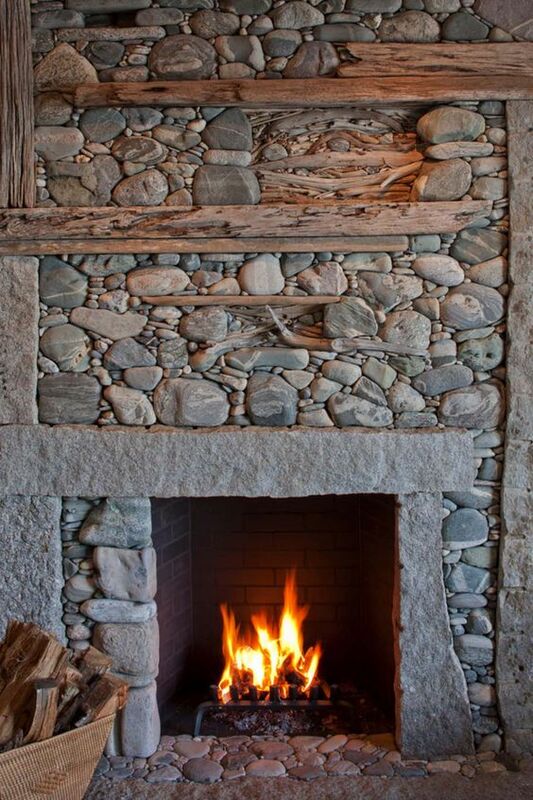 This fireplace suggests solidity and permanence. No matter what the decoration style of your living room, a roaring fire in the fireplace can bring it to life. 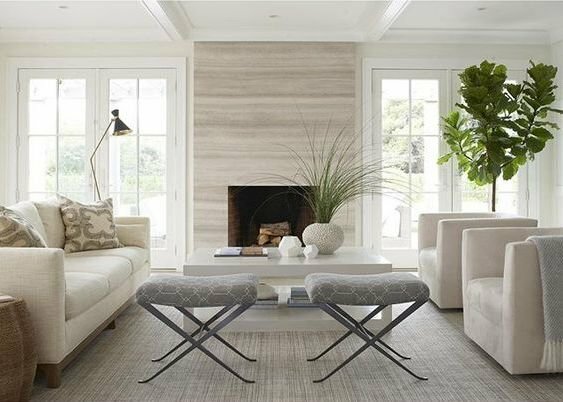 Modern chic fireplaces are minimalist and simple. Shades of grey highlight the colors in the furnituere and floor. You’ll feel relaxed and refreshed as you enjoy the warmth of the flames! 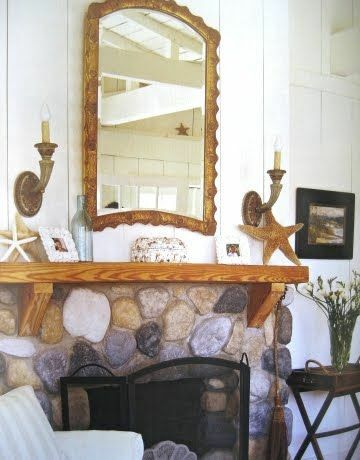 Adding some starfish ornaments, mirrors and personal objects lends a touch of familiarity and warmth. Red brick gives a fine contrast to wooden flooring and white painted walls. Keeping your favorite reading chair next to the nearby bookshelves ensures a great evening of comfortably curling up with a great book! 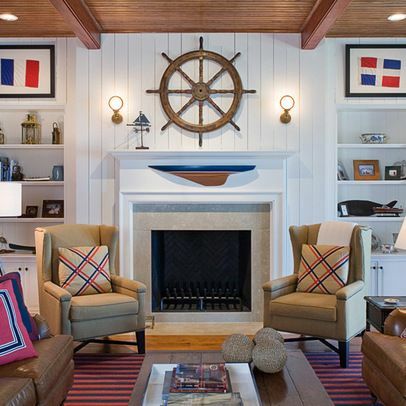 The nautically-minded can display their ship’s lifesaver and oars above the mantle, just like a sailing club lounge. 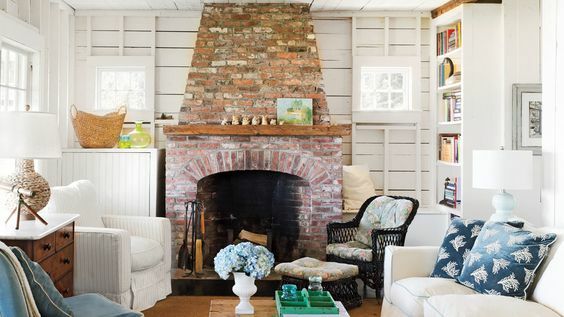 Smaller fireplaces are unobtrusive yet effective in warming up a room. 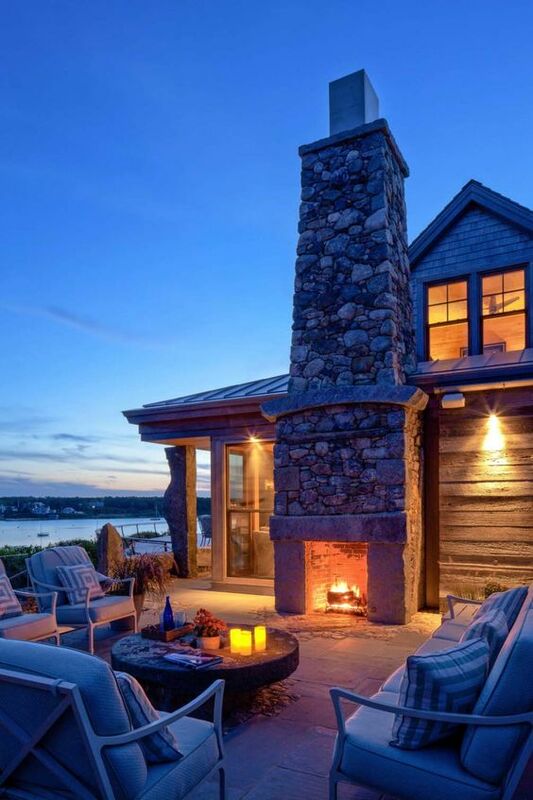 You preserve space while enjoying the warmth and relaxation of a roaring fire! During the chilly evenings, you and your family will love to cuddle up near the fireplace, whether it is big or small. 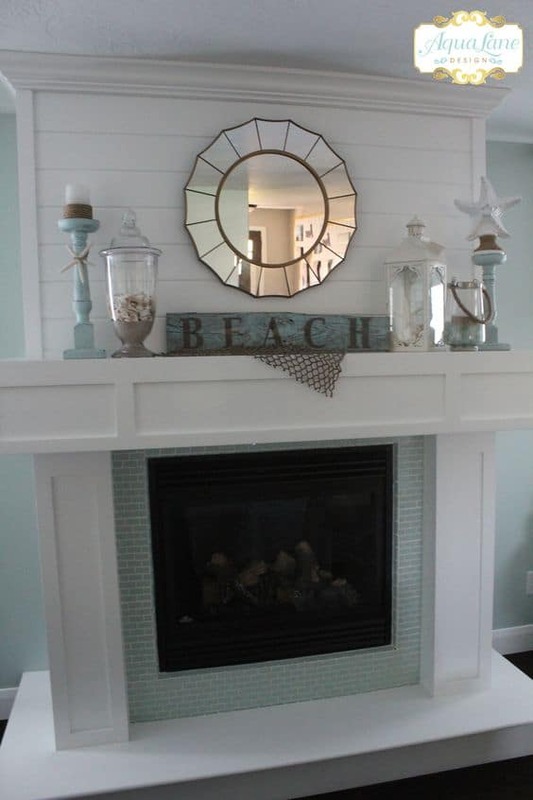 Every beach home can stand a bit of livening up, and a great way to do it is with an attractive fireplace. 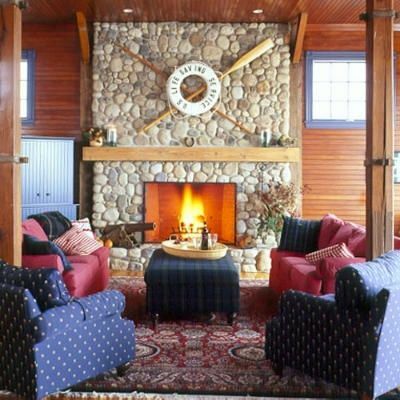 Whether it’s a huge red brick-lined fireplace with a roaring fire, or a tiny enclosed one that runs on gas, you’re sure to find one that suits your budget and needs.